It’s hard, some days, for Laurel Wright to celebrate the excitement and joy of her band’s slowly evolving career, because there are a couple of empty seats where two of her biggest cheerleaders should be. In some ways, the shock of losing her younger sister and her father within an eight-month span in 2018 still resonates. There are times when she wants to pick up the phone and call Ronnie — “Big Ron,” as her social media followers knew him — or make an impromptu road trip to Blount County to pick up her sister, Lindy. And then she remembers they’re gone. It is, in some ways, like walking past the door to a familiar room, filled with memories and keepsakes and the sound of laughter, and discovering that it’s barren. It’s all she can do, she told The Daily Times this week, to catch her breath. Time has helped, as has her mama, Lori, back home in Maryville, and while that empty room is still a place of sorrow, it gets a little easier to stay on her feet. “I’m surprisingly OK at the moment,” Wright said recently. “When my sister died, my mom and dad kept saying, ‘One day at a time,’ because when my sister was in rehab, she would say that. Now, I always think about my mom saying that to me: ‘One day at a time,’ only now it’s one moment at a time. I like thinking that way — it’s not a bad day; it’s a bad moment. Fortunately, she has two bandmates to help carry her when grief rolls over her at unexpected moments. Always by her side is Wes Lunsford, a Blount County native and East Tennessee guitar virtuoso who followed her to Nashville and went from her guitar player to her partner, musical and otherwise. And then there’s Patryk Larney, the couple’s manager. He doesn’t get the credit that Wright and Lunsford do because his work takes place behind the scenes, but he’s always been, Wright said, the third member of the band, which returns to Blount County for a Friday night performance at the “Rock the Cradle” Secret Safe Place for Newborns of Tennessee fundraiser at The Shed, and April 20 for a New Hope Children’s Advocacy Center benefit at Barley’s Maryville. “There would be no The Young Fables without Patryk,” she said. Larney started out in music, playing in a band called Naked Underneath, with his brother, that landed a record deal. When 9/11 shook the nation, and especially New York, the deal fell through, however, and Larney worked for several years as a computer coordinator for Apple. After moving to Nashville, he started working with several Music City artists, including a group called Steel Union, which featured Broadway star Rachel Potter and dobro prodigy Josh Matheny. That band threw its hat into the NASH Next competition, an “American Idol”-style event sponsored by a nationwide radio conglomerate. At that point, The Young Fables were a duo but playing under Wright’s name. Larney went to a show and sat in the back, ready to leave if the pair weren’t as impressive as the video. He ended up staying for the whole set, and while getting involved with them while they were competing against Steel Union would have been a conflict of interest, two weeks later they were cut, and they called Larney up. For years, Wright had been a solo performer, making waves locally as a teen singer-songwriter who quickly gained a fan base for her bold voice and authentic lyrics. She opened for big names (Randy Houser, Kix Brooks, The Band Perry), appeared twice on “American Idol” and won the 2012 Texaco Country Showdown competition, eventually hooking up with Lunsford. A product of Knoxville’s jazz scene, he was looking for a country gig after spending six months in China, and a friend introduced him to Wright. 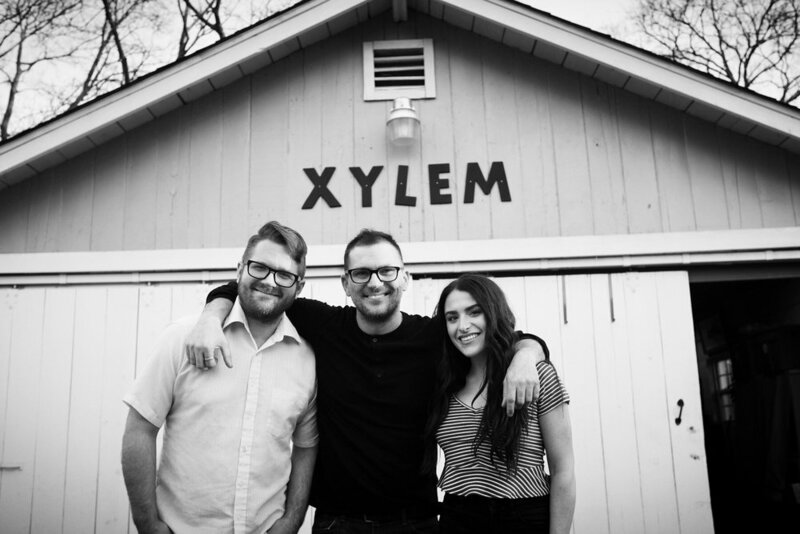 They moved to Nashville to break in, fell in love and began to see their creation as a meeting of equals instead of a solo endeavor with a backing guitarist. The business arrangement, under the banner of Larney’s Hope Tree Entertainment, quickly became permanent, however, and today he’s is as much a part of the family as Lunsford is. He and Ronnie Wright struck up a fast friendship, and when Laurel and Lunsford were on stage, it was always Ronnie who watched them from stage-side with Larney. The only downtime, however, was a show at the Wild Horse Saloon that was too soon. Her voice was gone, her nerves were ragged and her heart was still aching. Larney hustled up some songwriting friends and put together a replacement gig six hours before showtime. When Ronnie died in September, it was a blow not just to his friendship, and not just to Laurel and Lori and Lunsford, but to the next Young Fables project. The song “Daddy’s Girl,” off of the second Young Fables album (“Old Songs,” released last year), was being turned into a documentary. Titled “The Fable of a Song,” it was the story of its inception, its creation and its impact, specifically on the man about whom it was written. Now, it’s become something else entirely. Slated for completion this summer and a debut in the fall, it’s about love and loss and the trajectory of a narrative that encompasses it all, and the band hopes to have a hometown screening at The Capitol Theatre in downtown Maryville. Without a doubt, it will be an emotional night for the Wrights and for Lunsford. Pain and beauty make for strange companions, but life is the journey lived between those two emotions. That Wright has documented it so openly has won her more fans that she ever thought possible, and their support is another pillar upon which she leans when those moments wash over her, she said. “I try to be as real as I can,” she said. “People look in on our relationship and say things — ‘Wes is so good for her; you’re so good for each other; you’ve been so strong through all of this.’ But it has been hard. The moment my sister died, standing in the hospital parking lot with my dad, I felt instantly that things had changed. Steve Wildsmith was an editor and writer for The Daily Times for nearly 17 years; a recovering addict, he now works in media and marketing for Cornerstone of Recovery, a drug and alcohol treatment center in Blount County. Contact him at wildsmithsteve@gmail.com. Award-winning freelance columnist and entertainment writer Steve Wildsmith is the former WeekEnd editor at The Daily Times.